It’s a common misconception that marketing automation is only for marketers, and that sales will be left with yet another system to learn how to use. This couldn’t be further from the truth — in fact, it only takes a few hours for sales reps to learn everything they need to know to get the most out of an automation system. While marketing automation does have many benefits for marketers, it also enables marketers to better support their sales teams through features like improved lead qualification and lead nurturing. 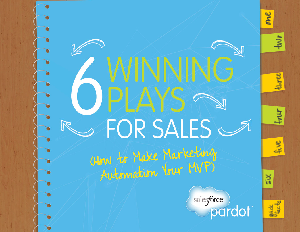 This Quick Guide takes a look at this improved workflow between marketing and sales while progressing through a typical day in the life of a sales rep using marketing automation.